We are a tree consulting business (not Tree Surgeons) specializing in planning application tree reports and Health & Safety Tree surveys and hazard assessment, Steve Wood founded SMW Consultancy in 2006, changing to SMW (Tree) Consultancy Ltd in 2015. Steve qualified with an O.N.D in Arboriculture at Merrist Wood and is also a fellow of the Arboricultural Association. Steve has over 35 years of experience in the Arboricultural industry so you can expect a professional, knowledgeable and proficient service. This also means that you can expect a quality survey with accuracy and precision that is recorded using only the best cutting edge technology and techniques. Bawden Tree Care, specialist tree surgeons in the maintenance and preservation of healthy trees throughout Berkshire, Dorset, Hampshire, Wiltshire and surrounding areas. One of a limited number of tree surgeons in Wiltshire that are Arboricultural Association 'Approved Contractors', Bawden Tree Care, established in 1990, has over 25 years experience in tree surgery and arboriculture. Bawden Tree Care offers great tree surgery, professional arboricultural services and knowledgeable advice to all of its customers, whether private individuals with a single tree in the garden, landowners and commercial estates with multiple trees and woodland, or local authorities (Parish, Town and Borough councils) with tree stock in public open spaces . The staff at Bawden Tree Care bring enthusiasm and commitment to every job, large or small, commercial or domestic. A reliable, dependable team, highly qualified and with a wealth of practical experience, Bawden Tree Care aim to build lasting long term relationships with customers by focusing on providing a quality service. Established in 1998, our friendly, professional team of experienced tree surgeons are qualified to undertake all aspects of tree care, catering for any requirement, large and small, Domestic and Commercial. We are a professional and highly motivated team of tree surgeons who encourage new techniques brought into the industry. 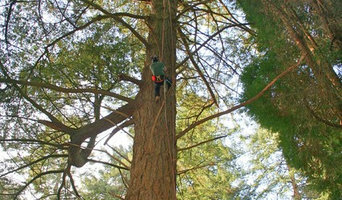 We push forward climbing techniques and efficiency on the work site; we are proud to be a part of this due to the company’s involvement within ISA Tree Climbing Championships within the UK and across Europe. 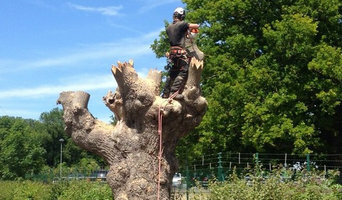 Based in Guildford, Surrey, Dryad are experienced Tree Surgeons and Arboricultural Specialists. Committed to providing high quality Advisory and Contracting Services. As professionals, dedicated to the care, and preservation of trees. 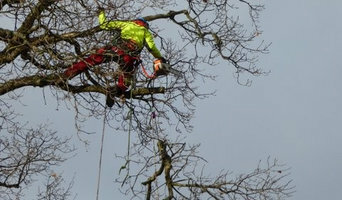 Operating for over 30 years, Dryad have a wealth of experience in all aspects of Tree Work. 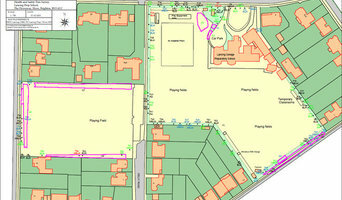 We operate in Surrey, Hampshire, West Sussex and Berkshire. Many contracts take us further afield. Based in London and Guildford, Reeves Arboricultural Services currently work with a variety of corporate and private clients. A snapshot of our clients: Block and estate management, school, property managers, landscape architects and designers, architects, construction companies, private estates, country houses. We aim to provide our clients with an easy and painless experience, keeping them informed on the process through one of our knowledgeable team members. We offer a wide range of arboricultural services, managing our clients’ tree concerns from start to finish. We manage the entire process, from organising permissions for trees in conservation areas or with tree preservation orders, through to completing the work and providing any necessary aftercare. All our staff are fully NPTC qualified to perform their designated roles and are polite and friendly – we strongly believe in good manners and this is translated to our work site. Reeves Arboricultural Services places huge emphasis on completing our work to the highest standard of health and safety with efficiency underpinning everything we do. Our wealth of experience has taught us that it is more cost and time efficient to take a proactive rather than reactive approach to managing tree populations. Welcome to The Tree Management Company website. At The Tree Management Company we are a team of highly skilled professional Arborists offering the highest level of tree surgery and modern tree care throughout the South of England. With over 12 years experience we have worked alongside some of the best in the industry. Now with our own set of aspirations and work ethics we have formed The Tree Management Company. We are equipped to take on all types of tree care from small domestic garden works and tree removal to large commercial site clearances. Even if you are just after some free advice about an old tree in your garden that may look dangerous we can come and make a free assessment for you advising you on the best course of action. At PA Searle, we now have over 30 years of experience as tree surgeons and we treat every job with the utmost care and attention to detail. Arbor Call Ltd is an Arb Approved, rapidly expanding company, predominantly covering Hampshire and the surrounding borders. Our work ranges from private gardens, residential and commercial clients through to local authority and nationwide builders. We pride ourselves on delivering a high standard, professional service, made easier by having the latest equipment and machinery. Arborline Tree Care is a highly skilled team of arborists delivering professional tree services to domestic and commercial clients cross the south of the UK. We pride ourselves on delivering high quality workmanship and outstanding customer service aiming to exceed clients expectations every time. Utilising the latest arboricultural practices and equipment we undertake all aspects of tree care at competitive prices. Our quotations are free and without obligation. To contact us call 01256 541737. All aspects of arboriculture and tree services. We are a well established Arboricultural Association Approved business with over 25 years experience in the forestry industry. We cover Surrey and Hampshire, offering the complete arboricultural service for both Domestic and Commercial clients. We are established preferred suppliers and experienced approved contractors for several Local Authorities,MOD & Forestry Commission. Basic tree surgery involves pruning trees that have overgrown; cutting down branches that are dangerous or growing too high, far or wide; or shaping the whole tree. 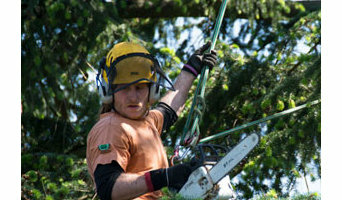 However, many tree surgeons in Itchen Abbas, Hampshire can carry out a number of other tree services, including tree planting, felling whole trees, trimming hedges or large plants, tree stump removal and even installing tree lights. Arborists will be more technically trained and can diagnose tree diseases as well as advising on how best to prune and maintain your trees. Unfortunately, trees don’t grow overnight but instead need a bit of lasting care and attention. To make sure they get the best start, ask an Itchen Abbas, Hampshire tree surgeon if they will carry out tree planting for you and give you advice on how to look after your new saplings. Arborists should definitely be able to do this, and most tree surgeons will too, but not necessarily so it’s always best to check before on the exact tree services they offer. Arborists will also be able to advise you on where to plant your trees and whether you have the suitable ground soil for them. Whatever your tree care problem, you can find Itchen Abbas, Hampshire tree surgeons and more tree services on Houzz to help you. If you’re planning on landscaping your garden as well as adding some trees, then you should talk to gardening professionals at the same time as tree surgery specialists. Here are some related professionals and vendors to complement the work of tree services: Landscape Contractors, Landscape Architects & Garden Designers, Garden & Landscape Supplies. Find tree service professionals on Houzz. Look in the Professionals section under Itchen Abbas, Hampshire tree services. You can look through arborists’ and tree surgeons’ portfolios and read reviews to see what past clients have to say.